The price of working in the factories of Korea is heavy, but migrant workers still chose to work here because they want to support their respective families financially. One may be tempted to give up an office work in Philippines in exchange of high paying factory work in Korea, but there are still a lot of things to be considered before you fully decide to venture into the so called 3D work in Korea. Usually, works in manufacturing companies are Dirty, Demeaning and Dangerous. These are the jobs that Koreans are trying to avoid, so they hire people from outside Korea to do the work. Many are lured to the idea of going into a country where their Kpop idols live and a salary that is twice or thrice as high as their current wages. However, it is not just all about that. 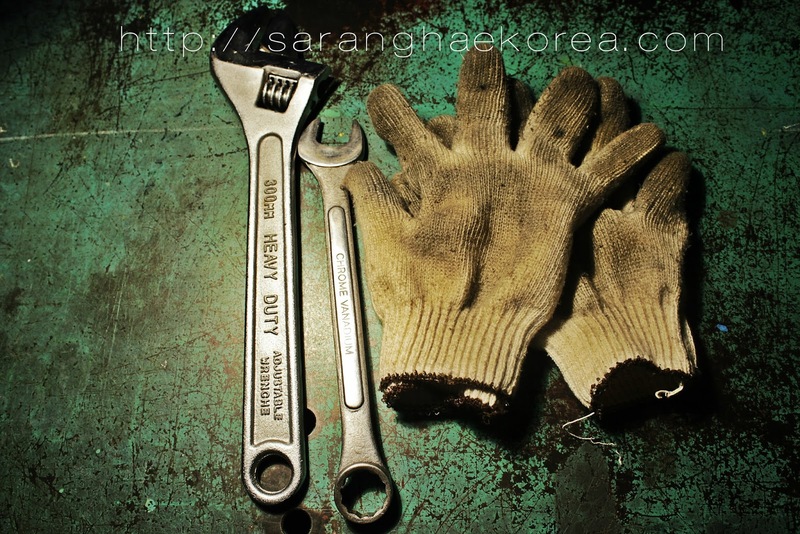 There are underlying circumstances in working as a factory worker in Korea. You may not be able to see that in the surface, but unless otherwise you are in the situation, you will see for yourself the difficulties that every factory worker in Korea is going through every working day. But before you give out your violent reaction to this, let me stress out that the difficulties may vary from one company to another. At the end of the day, it is still about luck and the odd of getting an abusive employer. There are still good “sajangnim” out there and factories that are fair to their workers and provide proper protection at work. However, it is inevitable that cases like discrimination and exploitation may surface. So before you decide to go to Korea and work as a factory worker, I would like to share some information based on the experience of some people the difficulties that factory workers are facing in Korea. One must be ready for these and it is also important you know what to do in case you are in situations like these. Let’s face it, I guess every company here in Korea has violated one or two or even more items in the contract. Before you sign the contract, read what is written on it thoroughly, but don’t expect that everything on that piece of paper will come true. I think, this item deserves some sub topic, so let me break it down one by one for you. This is I guess one of the most important issue to all the workers. In the contract, you will see how much is your basic pay, and how much is your overtime pay. Oftentimes, these figures are not making sense in the actual. Some employers give a certain “fixed amount” regardless of the number of hours of overtime. Some do not pay the right amount when the workers work during the holiday. And some are not paying the salary at the specified date in the contract. These are just few of the many issues when it comes to the wages of the employees. I am just so lucky that my employer is computing the right amount of basic and overtime and I get my salary on time. But just imagine the burdens of some migrant workers for not being paid on time and/or the right amount. In the contract, there are not many specifications when it comes to the nature of work. Sometimes, they just put machine operator, or easy job or something like that. But I know that there are some cases wherein they signed up as a machine operator but ended up as construction workers. The type of company and job that have been described in their contracts are so different in the actual. The moral lesson of the story, don’t expect too much. You have to condition yourself that you are going to work in a factory where all you can see are gigantic machines and forklifts and whatnot. Don’t rely too much on the job description. If you can do the job, then by all means do it. But if it is something out of your capability, there’s no reason for you to hold on. You can complain about it because it is not what you signed up for. Some employers treat their workers like robot. Just because they are paying you to work doesn’t mean they can take advantage of your “slavery”. It is hard to admit but this is happening to some workers. Sure, there are rights exist to protect the laborers from discrimination and exploitation, but workers have no idea and the lack of knowledge thereof on how to protect themselves against this kind of treatment. Some resort to requesting for change of employer but for those who are under the hawk of their sajangnim, they stayed and accepted their fate as exploited laborer. If not for the money, they could have chosen to just go home. Sometimes, what makes work in the factory more difficult is the working environment. Because it is a factory, there are equipments and materials that make it a non-conducive working environment. Sometimes, workers do not have enough personal protective equipment to keep them safe in working especially the dangerous jobs. Those who are working in the chemical industry, agriculture and some dangerous machines are suffering from this difficulty. These and all other factors contribute to the sufferings and the difficulties faced by some factory workers in Korea. So what should you do when you are facing these dilemmas? Consult the Philippine Overseas Labor Office in Seoul. You can reach them by calling telephone number (02) 3785-3634 or 3785-3635 or via the hotline 010-4573-6290.